Located in his hometown, Sweet Homes Chittenango, LLC is well suited for servicing both the greater Syracuse and Utica areas, although Ross can inspect homes anywhere in New York State. Named to honor the history of his family and his Scottish maternal great-grandparents, Ross chose the name to reflect his goal to help "ensure that all his client's homes are "sweet" homes". Sweet Homes Chittenango, LLC, is committed to excellence in every aspect of our business. We uphold a standard of integrity bound by fairness, honesty, and personal responsibility. Our distinction is the quality of service we bring to our customers. Accurate knowledge of our trade combined with ability is what makes us true professionals. Above all, we are watchful of our customers interests and make their concerns the basis of our business. Always striving to the best in his field, Ross has completed extensive training to ensure that his "top to bottom home inspections" are comprehensive and serve his customers' needs. He completed his certification training for home inspection with the American Home Inspectors Training Institute (AHIT), including extensive classroom and "in the field" training on all aspects of home inspection. He has also completed courses in Residential Wiring from OCM BOCES and Radon Certification from the American Association of Radon Scientists and Technologists(AARST). 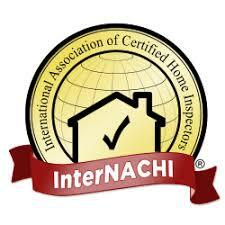 He is currently an associate member of the local and national American Society of Home Inspectors (ASHI).